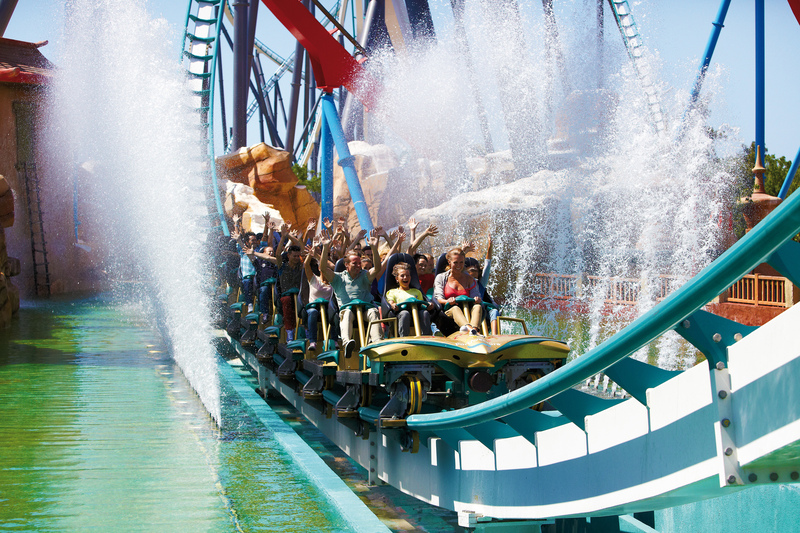 These family activities include a bit of everything: from solving crimes like Sherlock Holmes and taking a ride on a vintage train through beautiful landscapes, to spending the day in PortAventura World and even piloting a small aircraft. One thing's clear, you certainly won't get bored during any of these experiences, and you'll have a day to remember forever. 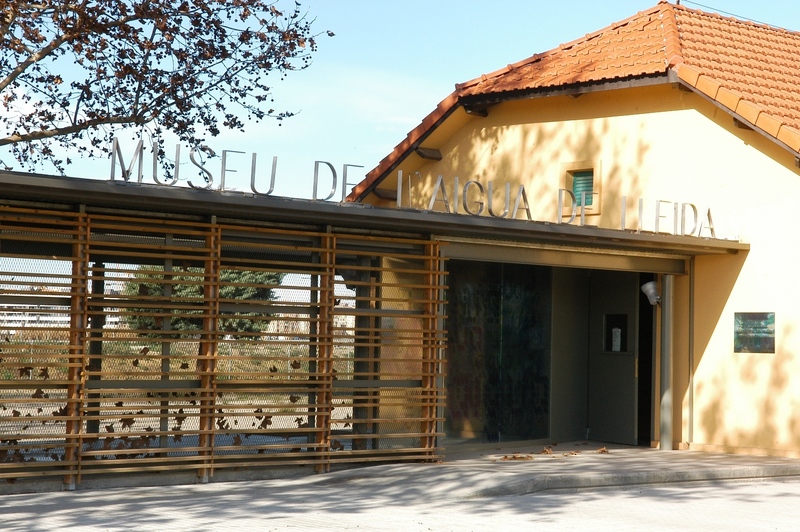 Let's start with a relaxing visit to a museum dedicated to water, which can be found in one of the four Catalan capitals: Lleida. In fact the museum is on various sites. The main one is the La Canadiense camp, where there's a permanent exhibition called 'The Power of Water' and a collection of over 1,000 bottles from all around the world grouped together by country. Carry on by going to the Pla de l'Aigua, built in 1784 and converted into a study centre on drinking water. 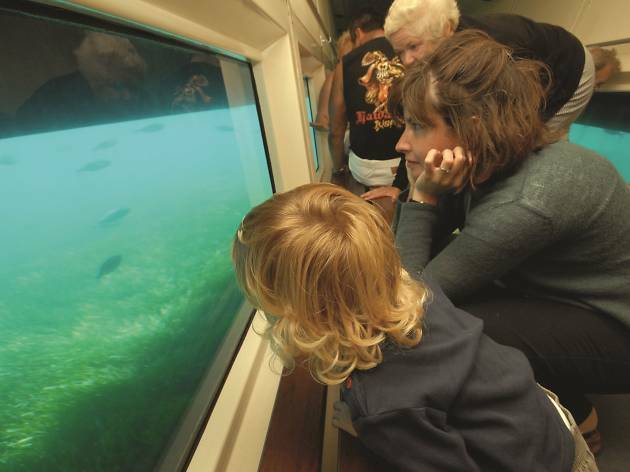 Ice wells, water mills, monumental fountains and canals are also some of the features in this fascinating museum, where you'll learn a great deal about different aspects related to the world of water. 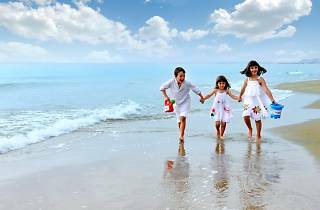 Next is the Costa Daurada, the perfect place to go with kids as most of its beaches are quiet and you can walk for metres into its shallow seashore before the water reaches your waist. 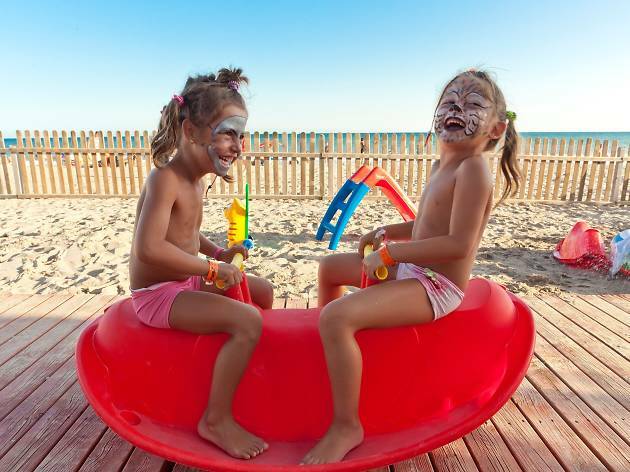 Many of the towns along this part of the coast have been given the Family Tourism award by the Catalan Tourism Agency, including Calafell, Cambrils, Salou and Vila-Seca – La Pineda Platja, among others. We recommend you visit l'Ametlla de Mar, where you can try snorkelling and kayaking at the Nautical Sports Resort. 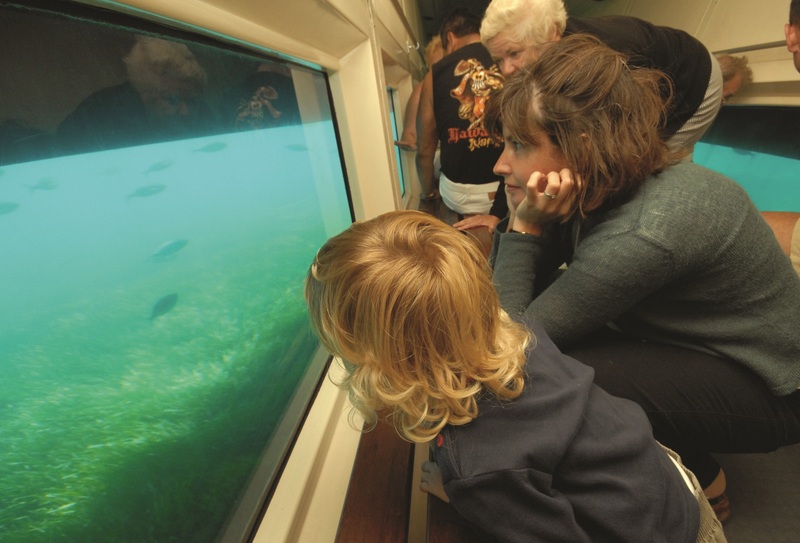 There are also plenty of other activities to try both in and out of the water. Near the Costa Daurada and toward the interior lie some immensely beautiful natural parks and mountains, where you'll find hidden corners and villages that are definitely worth a visit. The Prades Mountains are a great example: you can spend a fantastic day trekking with your family or wandering around the streets of Prades, or Capafonts (known as the 'red town'), where you can visit a medieval bakery, or 'farena', a small village built into the rock, or even Alcover's fossil museum. Poble Espanyol, located on Barcelona's Montjuïc mountain is an open-air museum that offers a sample of the most emblematic buildings from Spanish architecture. It's always worth visiting without a set itinerary and just wander around its streets. 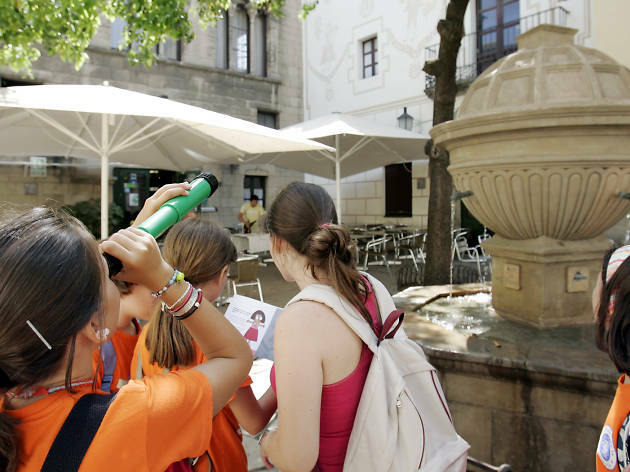 But if you'd like to add a little more fun to the visit, especially if you go with kids, why not go on a kind of treasure hunt called El Joc del Sarró, where you'll be detectives for the day and get to solve a mystery. The game is for children aged over three and takes place every day from 10am to 6pm. 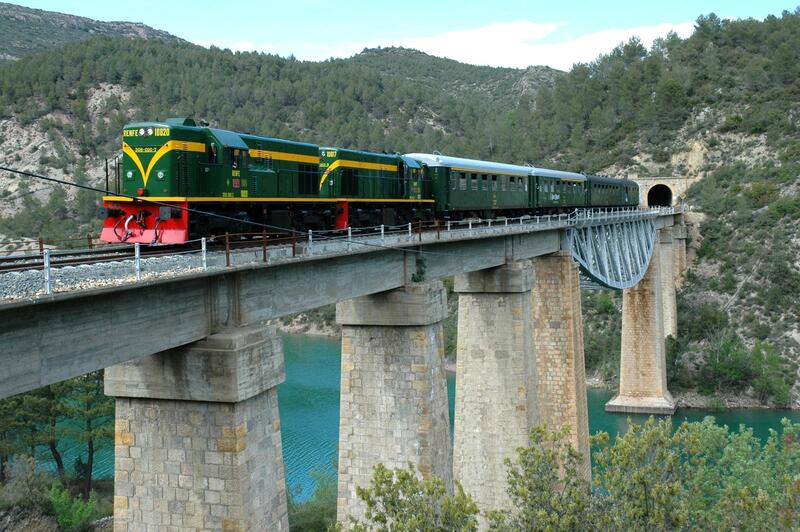 Opened in 1924, the Tren dels Llacs (or Lakes Train) follows the course of the Noguera Pallaresa river. It departs from Lleida and arrives in La Pobla de Segur, crossing over the Mont-roig and Montsec mountain ranges through the Terradets path. 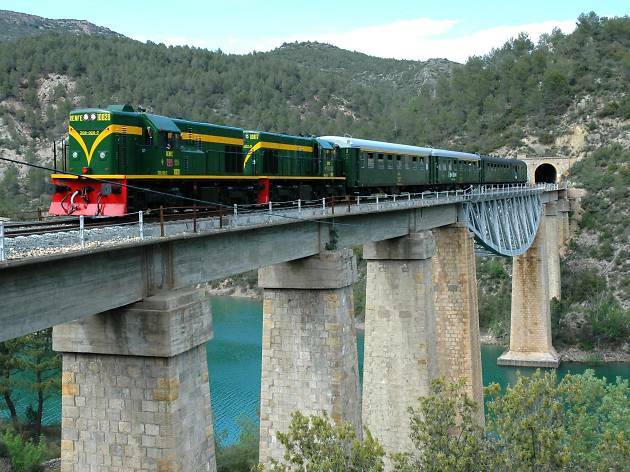 The original idea was that the train line cross the Pyrenees and over to France, but that never happened and so today this vintage train is only used by tourists, and is undoubtedly a very relaxing – and for some people nostalgic – way of taking in the incredible landscape. Before you get on the train don't forget to visit Lleida, and when you jump off be sure to visit Casa Mauri, a modernista palace in La Pobla de Segur. 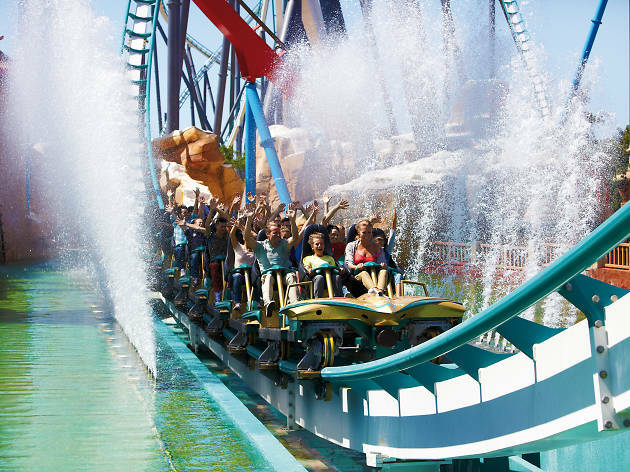 We assume that by now you'll have heard of PortAventura World, a huge theme park located near Tarragona, which opened its doors two decades ago. In case going on all the incredible rides isn't enough fun for you, we recommend you do it in teams, completing challenges and solving mysteries all around the park. You'll have to have good organisation and coordination, and work together as a team in order to be the best and take home some great prizes. Here's an itinerary to help you utterly indulge in the Costa Brava. In the morning, take a boat trip around the Medes Islands, from where you'll be able to observe the spectacular sea floor. Then you can take a walk around L'Estartit, go for a swim and then for a spot of lunch. 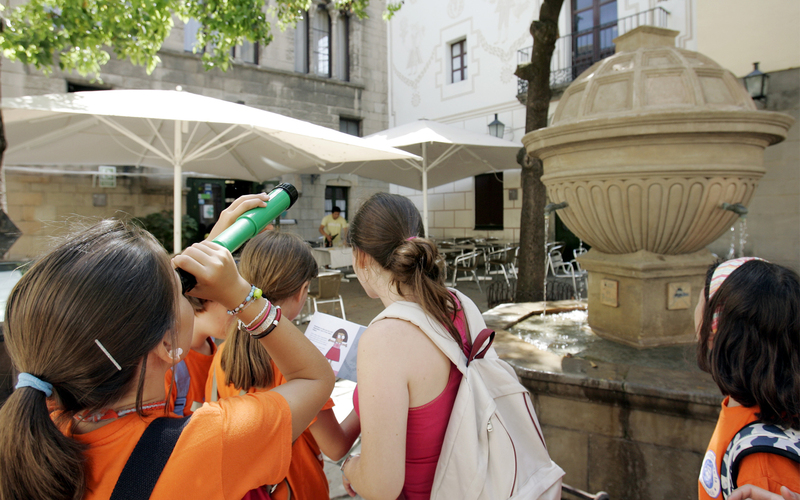 In the afternoon, visit the Mediterranean Museum in Torroella de Montgrí as well as its pretty old town. You can also go for a stroll along the banks of the Ter river, and after a long day, unwind. 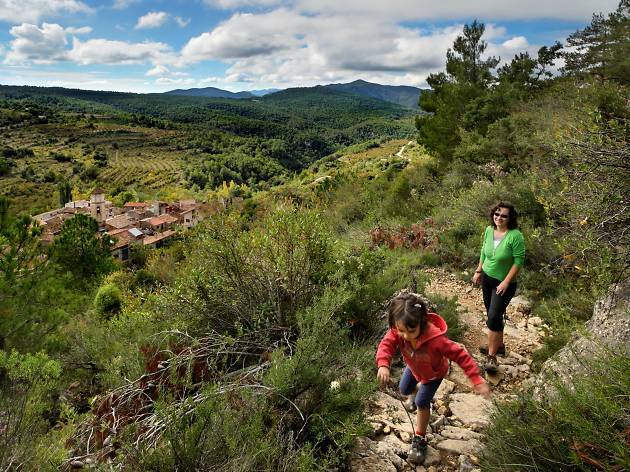 By the next morning you'll have recharged your batteries for the walk up to Montgrí Castle, where you'll get a spectacular view of the Empordà region. 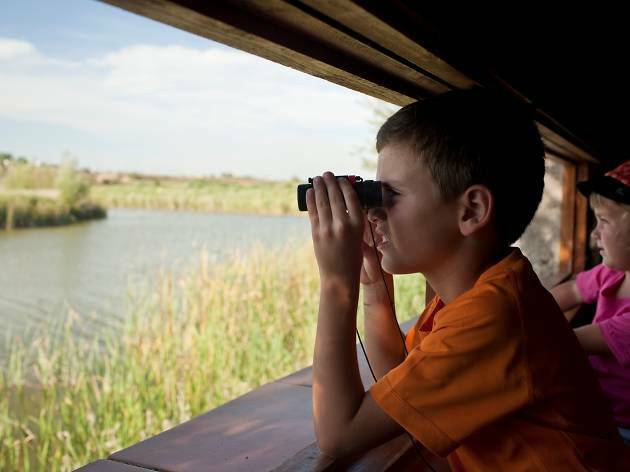 This two-day trip includes a walk around the Estany d'Ivars and Vila-sana National Park, in the Pla d'Urgell region, one of the largest wetland areas in the Lleida province. 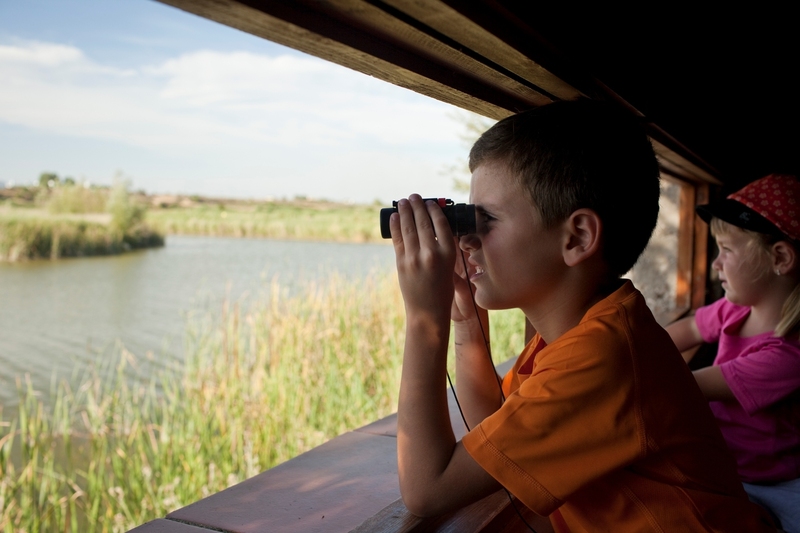 There'll be plenty of animals to observe, so don't forget your binoculars. 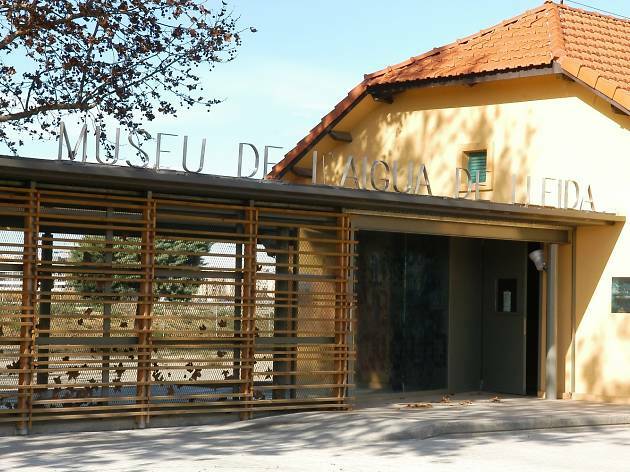 Later you can visit the Urgell Canals Cultural Space in Mollerussa to find out how they constructed the Urgell Canal and how it transformed the history and life of the area. The next day there's a spectacular activity lined up as you go on a plane ride to get a stellar view from above of the lakes and birds that you visited the day before. You'll even get the chance to pilot the plane yourself for a few minutes! The Sau Reservoir in the Osona region is very well-known around Catalonia: the image of a bell tower more or less submerged, depending on how much it has rained, is practically a national symbol. In its calm waters you can do loads of different water sports. 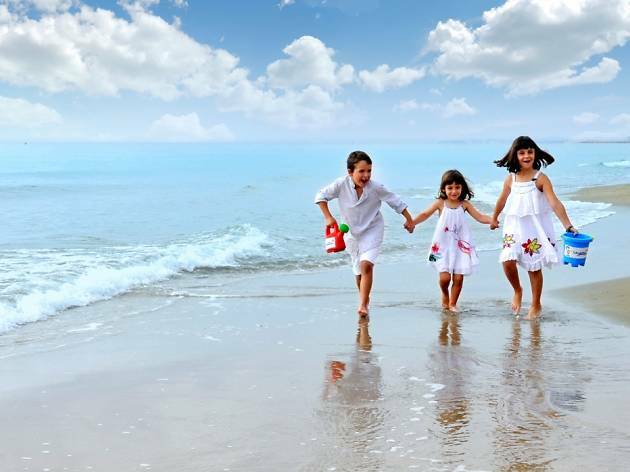 We recommend one that doesn't require a lot of skill or strength and that you can do easily with kids: kayaking. 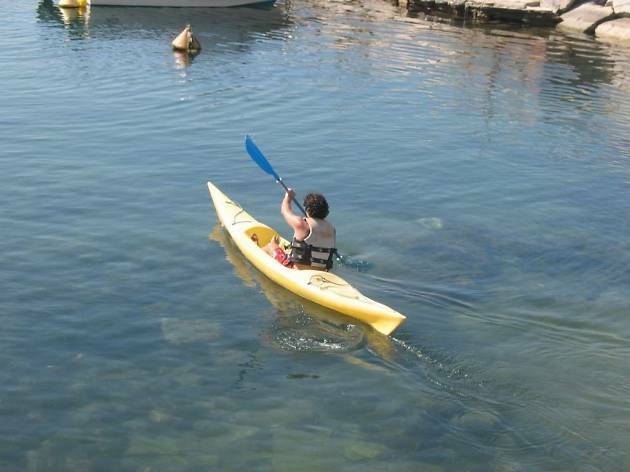 You'll find single and double kayaks to rent for a minimum of one hour and up to eight hours. It's a great way to escape and relax among peaceful waters whilst you enjoy the reservoir and its fantastic surroundings. 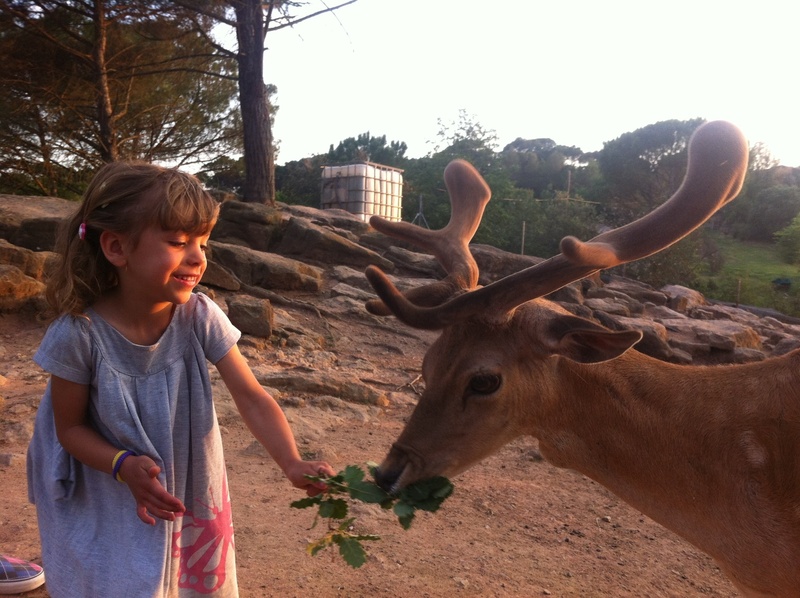 In Navàs, in the Bages region, you'll find the Centre d’Apropament a la Natura (CAN) (Get Closer to Nature Centre), a place where you can really experience nature thanks to its excellent installations and organised workshops. The kids will no doubt have a great time getting up-close to and feeding the animals: horses, African goats, cows, ponies, geese, chameleons, iguanas, hedgehogs, eagles, tarantulas and even a Boa constrictor. The CAN is open every weekend and public holiday, but it's best to call in advance and book a guided tour.